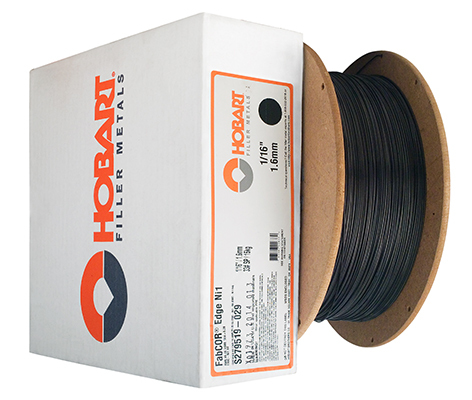 Metal Cored Wire With Higher Deposition rates And Travel Speeds than Solid Wire. The FabCOR Edge Ni1 has virtually no silicon Deposits at weld bead tow lines, excellent gap bridging capabilities, higher deposition rates and trevel speeds that solid wire and good impact toughness at low temperature. Suitable for high strength low alloy steels, single or multi-pass welding, structural fabrications, nickel-molybdenum steels, heavy equipment and weathering steels.